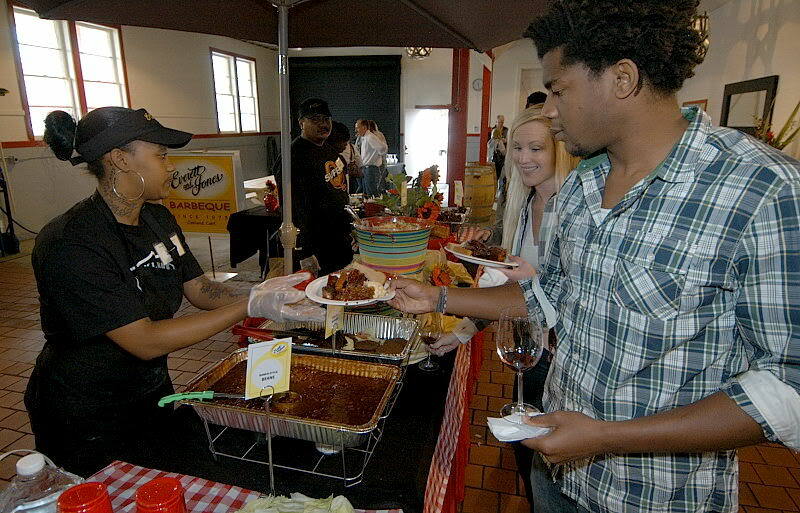 Your classic BBQ and sides. Great location to meet with friends and family. Service is a little slow, but you don't want to rush out anyways. Enjoy! Excellent food and friendly staff, good prices, nice location. Killer bbq sauce! Close to Jack London Square. 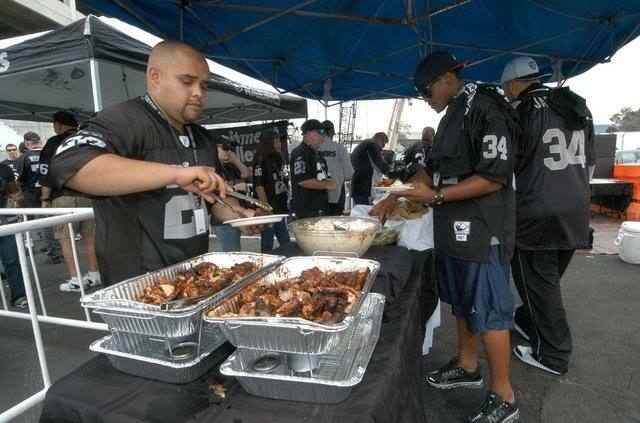 The best BBQ in the Bay Area and probably in the state. I have never had a bad experience here. The meat and sauce are second to none. Food was Awesome!! Loved the atmosphere. Would give it 5 stars, but servers seemed to have a but of an attitude, If they had rough day, it showed. 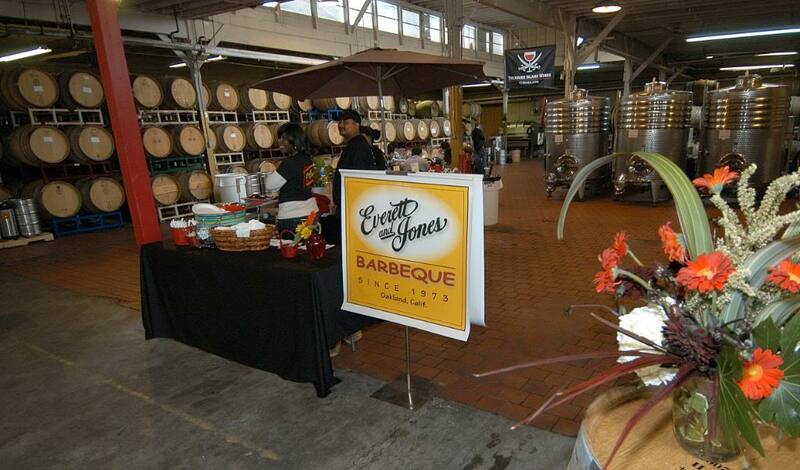 For over 30 years Everett and Jones BBQ has been providing on-site catering services for events throughout the Oakland, San Francisco, San Jose and Sacramento areas. 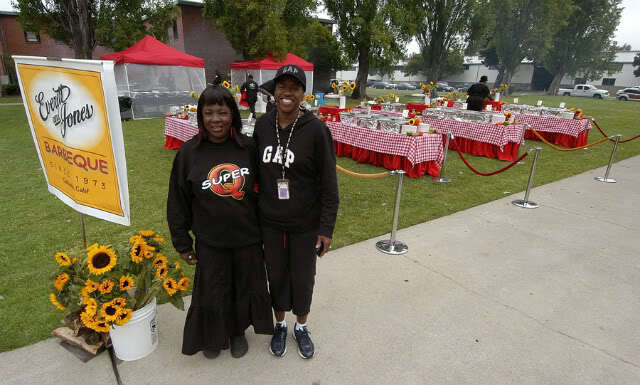 No event is too small or too large. 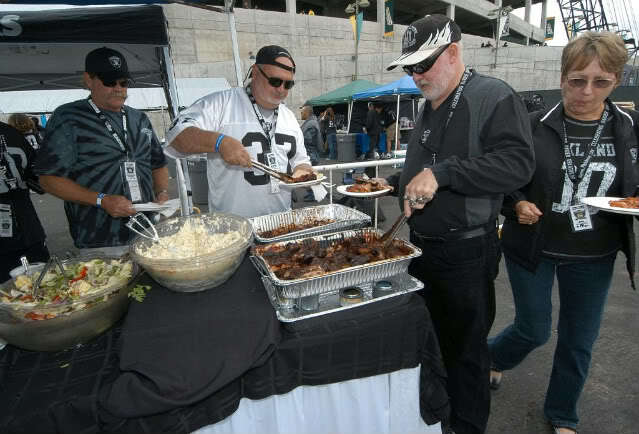 From wine tastings, tailgate parties, weddings, business lunches and dinners, we service events with from 20 to over 700 guests. 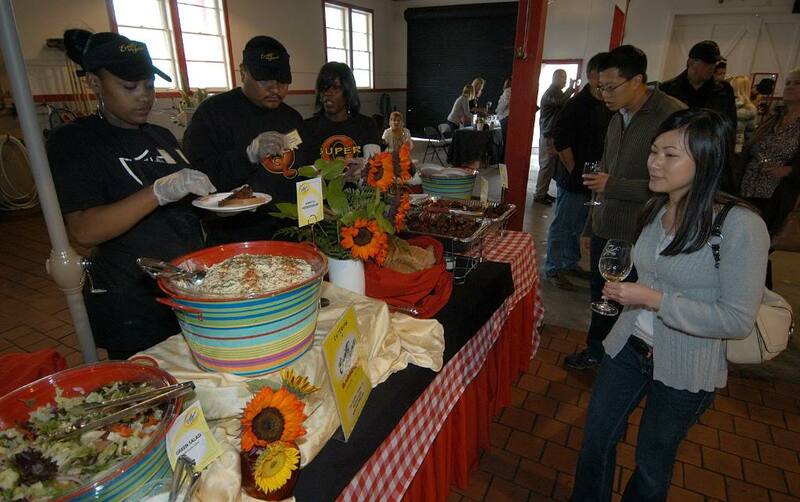 We also offer an on-site banquet facility. 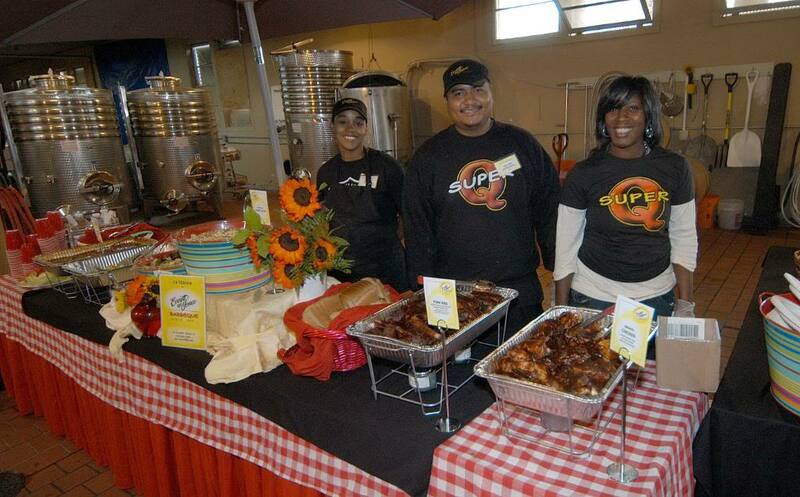 Let Everett and Jones BBQ simplify your planning and take the stress out of your event planning by providing full service on-site catering services including food prep, delivery, setup, serving and clean-up. 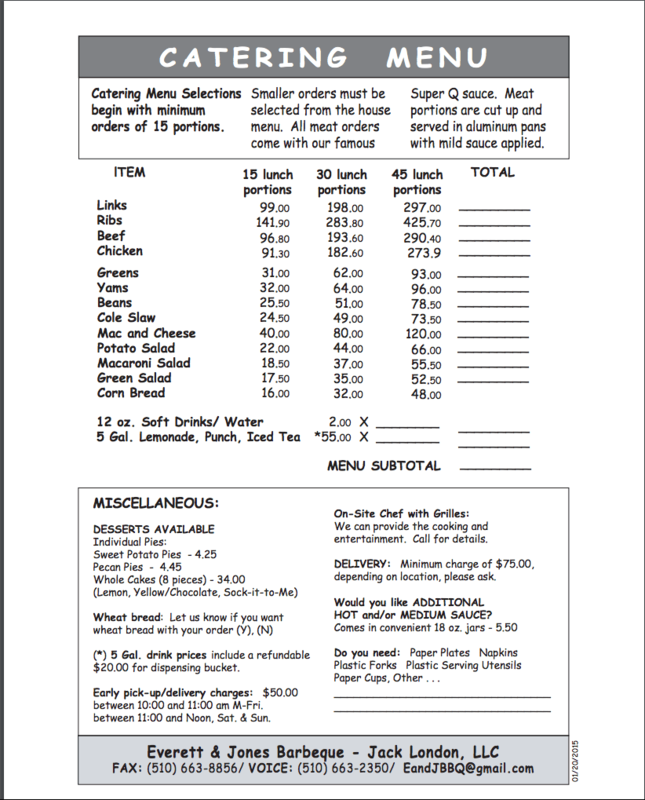 You can view/download PDF’s of our CATERING FORMS (in from the right sidebar) for you to plan out your affair. Please call us so we can personally discuss your needs and answer any questions you have. 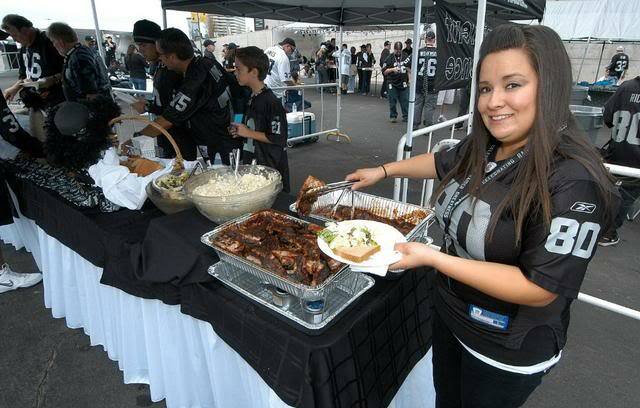 You can contact our Catering Manager at (510) 663-2350. 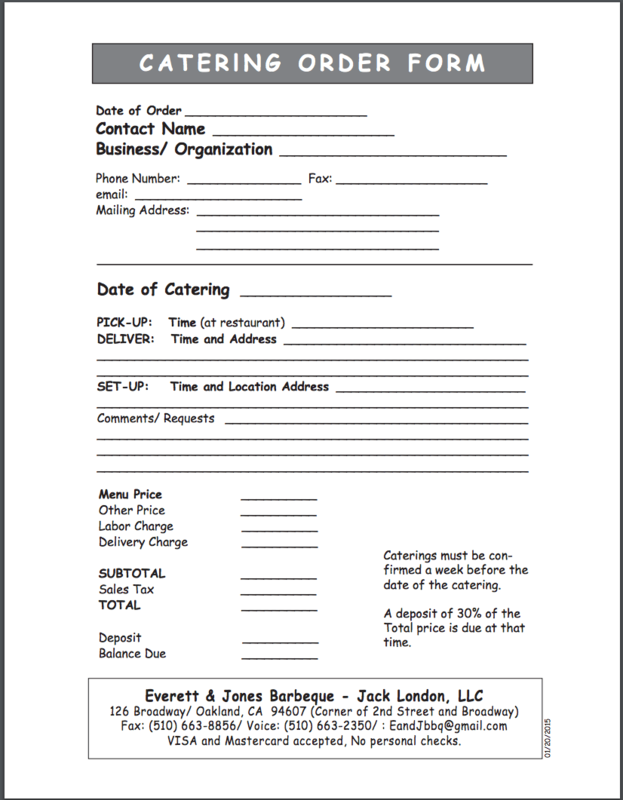 If you prefer you can send us your contact information with the catering form below and we will get back to you ASAP!! 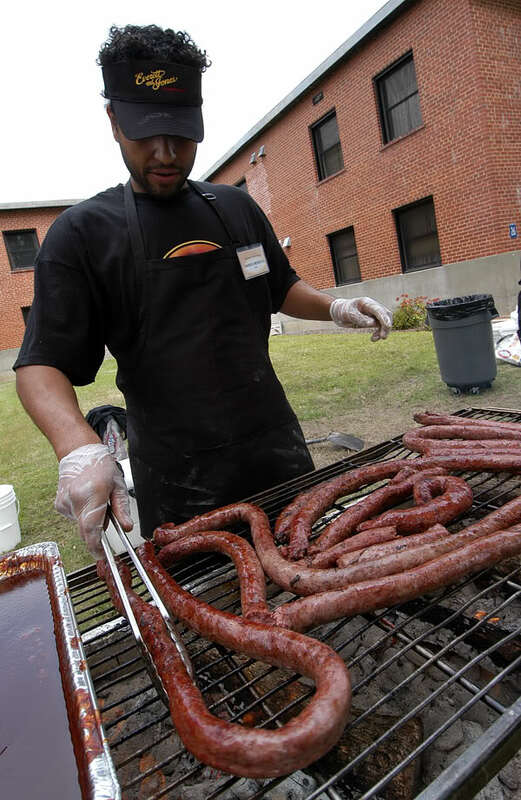 Since 1973 Everett and Jones BBQ has been serving the best Barbecue, BBQ, Barbeque food. 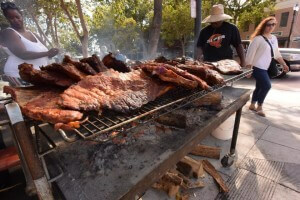 From Sliced Beef Brisket, Smoked Chicken, Smoked Pork Ribs and their own Homemade Links, and using our own famous Everett and Jones Barbeque Sauce we offer the best Barbecue, BBQ, Barbeque food in Oakland. 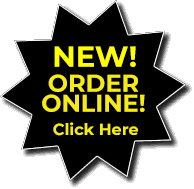 We also offer full service catering, a banquet facility and, for your convenience, our new Online Ordering system. We have 2 locations, 126 Broadway in Oakland, CA and at 4245 MacArthur Blvd in Oakland, CA right near Jack London Square. 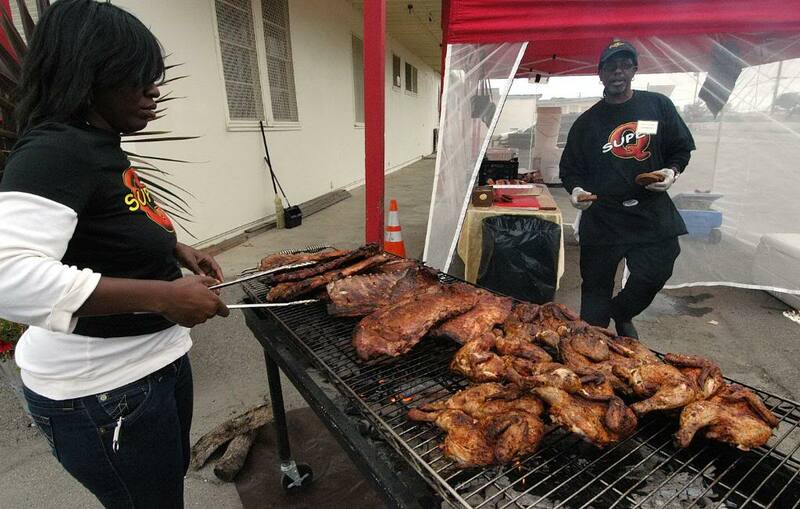 We also offer live music entertainment, featuring blues music at Q’s Lounge and Dotha’s Juke Joint. A bed of mixed greens Topped with slices of tender smoked chicken Served with our own Barbeque sauce house dressing. Perfectly smoked pork ribs to superb tenderness, with our Super Q seasoning over an Oak wood fire, Topped off with our award winning sauce, HOT (watch out! ), medium, or mild. Select two side orders. 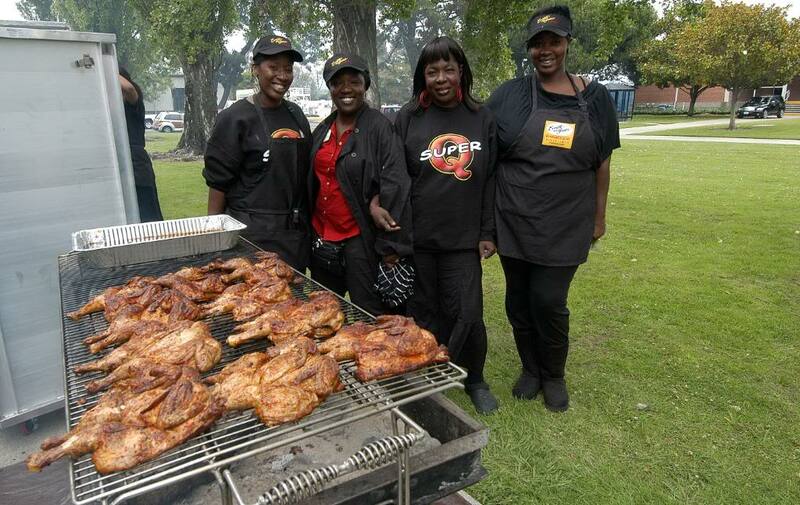 One-half juicy chicken seasoned and Smoked on an open fire grill, Select two side orders. Choice selected Beef Brisket cooked over Oak Wood with a special Marinade (Goop) That gives it the tender, tasty outer crust, Comes with your choice of two side orders. [caption id="attachment_2801" align="alignnone" width="300"] Finishing the slabs on the 4th of July. [/caption] This is not your small individual portion; This portion feeds 3-4 people. When we say a slab, we mean the WHOLE SLAB of pork ribs with Three side orders and corn bread. Give a friend or loved one a gift card from Everett and Jones. Cards can be loaded with any amount and can also be reloaded when used. © 2019 Everett and Jones BBQ. Once A Month We Select 2 Lucky People to Have Dinner On Us!! !